We always have a special treatment designed just for you at Valley Springs Spa. We offer massage, skin care, waxing, teeth whitening, and nail treatments and specialty packages to choose from. Check below for our special seasonal discounts. Happy Easter from Valley Springs Spa!!! Introducing the Ageless Stem Cell & Peptide Mask applied after a wonderful exfoliation by a Dermaplaning treatment. Ageless Stem Cell and Peptide Mask is deigned to inhibit the breakdown of collagen and elastin, reduce sagging while improving firmness and elasticity. It contains powerful antioxidants and increases moisture restoration, leaving skin soft, calm, and well hydrated. Schedule your Dermaplaning with Ageless Mask for the special price of $75. A $20 savings!! Salt room (Halotherapy)- a natural treatment that can alleviate the symptoms of various respiratory illness, dermatological illness, and allergies. A wonderful way to escape for 45 minutes. $15 for 45 minute session ($10 for additional person) No charge for under 18 with a paying adult. Discounts are valid through April 20, 2019 and cannot be combined with any other offer or discount. Bridal party can receive $5.00 off any single service over $30.00.  Valley Springs Spa is available for bridal parties, birthday celebrations or a spa day shared with friends. We can accommodate groups up to four depending upon your service choice. Call us to book your appointment and we will help you plan your special day. Reservations must be made at least two weeks in advance and a credit card must be given to schedule treatments. At Valley Springs Spa, our guest are very important to us. That’s why we have created the “VSS Rewards Program” to reward YOU: our most loyal guests.. You’ll earn points for services you enjoy. You’ll earn bonus points for doing fun things like reviews, check-ins, and mentions on social media and referring a friend to Valley Springs Spa. You are automatically enrolled in the program when you visit the spa or open an online scheduling account. Our system automatically tracks the points you’ve earned. You can check your balance at the spa or on your online account. Points will be awarded at time of check out. For example: if you refer a friend, you will get your points when he/she checks out of the spa. Points are in pending till 24 hours after check out. Client Rewards Program points may not be redeemed for cash or to purchase gift cards. No double dipping! Some purchases may not earn points. For Example you won’t earn points if you buy yourself a gift card and use it on yourself. May not be valid with some special offers or purchases. This will happen rarely, but it may happen. We reserve the right to terminate or modify the program at any time. We reserve the right to terminate anyone’s enrollment in our program. You may redeem points once you reach 500 points. Enjoying spa treatments at Valley Springs Spa may become habit forming, resulting in lower levels of stress, increased beauty, and moments of extreme contentment.